, every step in the ordering and manufacturing process is completed in our facility having shipped over 250 million direct to consumer personalized pieces. Ordering online is simple with step-by-step instructions on how customers should upload their photo, edit accordingly and check out. 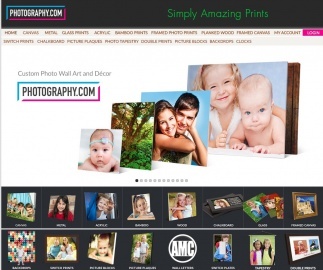 Click a Coupon or click Start Shopping to earn 8% Cash Back at Photography.com.